Oh so close to being out of the jar….. So, last week, I think it was last week…I’m really not sure because of the carousel I’m always on seems to be moving faster and faster these days, but sometime in the not so distant past I wrote a post about how I felt like a bug trapped in a jar concerning the occurrences in my life at this time. I know my current post photo does not have a bug or a jar, but let’s face it, I’m not a bug kind of girl. After what I thought was a pep talk and hormones possible subsiding, I could see my way out through one of the air holes created by the ice pick in the lid of that damn jar. So I thought, I will not be a bug, I’ll be a fairy, or a butterfly (yes, I know, still a bug/insect). Much more appropriate for me than just a bug. And then I found this wonderful picture of a REDHEADED fairy trapped (okay, the bell jar is just turned upside down, but come on folks, use some imagination) and I was hooked, because you guessed it, your Southern Belle is a fiery redhead. Now that I’ve set the scene for what I thought was the upswing on this being trapped thing, let me invite you inside to the events of what has really happened. Like I mentioned, I had a really good talk with one of my closest friends and also with my daddy, both of which help me sort through some of my trapped feelings. Sometimes I just need to talk things out and have someone else listen to tell me what is really going on. So towards the end of last week, things were looking up. I could see the possibility of squeezing my fairy/butterfly self out of one of those air holes in the jar and I knew that I would be just fine. I could feel the air fill my lungs again and my chest start to relax. 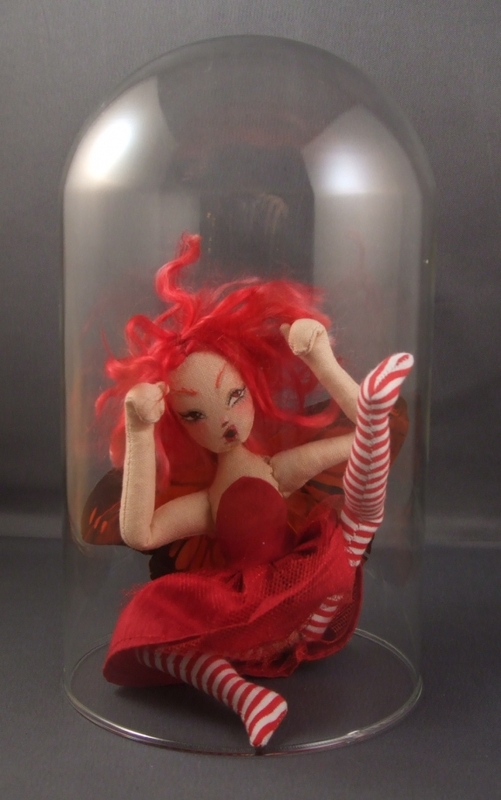 But this week brought on its own set of challenges for trying to escape the jar and now, fairy/butterfly or not, I feel like I’ve been knocked back to the bottom of the stick and some of the air holes have been closed up. I’ve learned, not a lesson I didn’t already know, just one I didn’t know I would have to learn again, that ……..well, I’ve drawn a blank. I don’t know how to put this eloquently, how to write it in pretty words, or how to make it sound anything but other than what it is. I’ve learned that some people are just mean, spiteful, hateful, and will keep you trapped just because they can. Yes. I am an adult. Yes. I’ve learned this lesson a long time ago, however I thought I had chosen wiser this time in my selection of not just friends but work associates as well. Now, I seem to be learning that the company you work for, no matter how “good” they seem to be, will keep you trapped. Even if you are one of the best fairy/butterflies they have. Simply put….because the can. So, I’m kind of back to where I started a week ago, although not quite as depressed and melancholy about it. You see, there are several things “these people” may have miscalculated when they “thought” they could keep me trapped. True, they do hold the lid to this jar. True, they can keep me trapped for longer than I anticipated. But….follow me here people. I will squeeze out of one of those air holes. Several things happen when you tell a stubborn, redheaded southern belle that they are trapped. The first is I do cry. The next is I get mad. The last is I stay mad enough to stick it out and do what they said I couldn’t do. 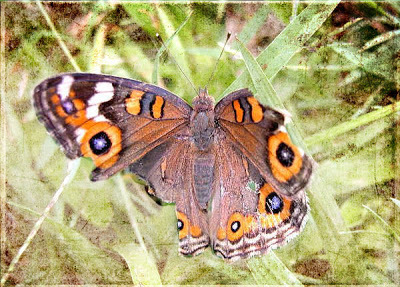 I thought, well, even if you squeeze through the air holes your wings will be too tattered and torn to do anything with. You’ll never be able to fly. But then I read this…..
That’s right. If my wings didn’t get a little tattered and torn along the way, I may be eaten by these predators that want to keep me trapped. But once I’m free I can still fly, and I will.